An ideal location for your short term stay or conference group accommodations. 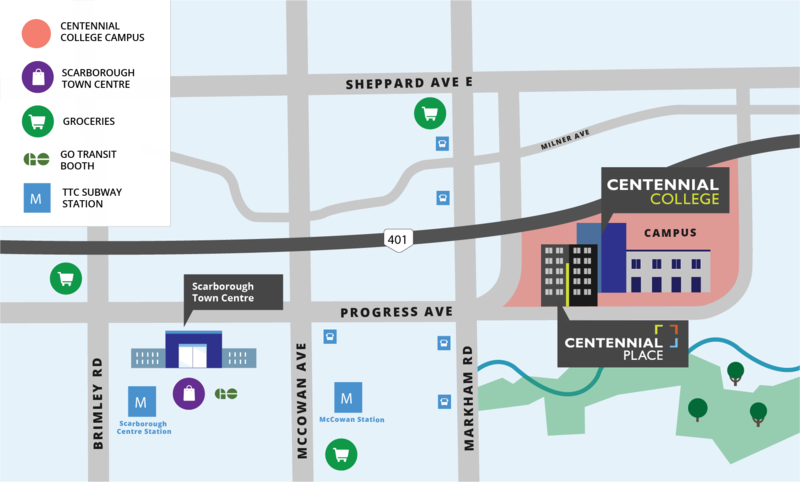 Located in Scarborough on the East side of Toronto, Centennial Place is within minutes of the 401 and the TTC station at the Scarborough Town Centre. You'll have easy access to major Toronto attractions including Eaton Centre, Air Canada Centre, CN Tower, Rogers Centre! With the amenities and location you want, at a price hotels can’t beat, Centennial Place is East Toronto’s best accommodation option. Hospitality and comfort is our focus, so let us take care of your stay. * Rate varies based on availability, seasonality and individual or group booking.